Stay on top of your inventory, so your guests stay satiated. 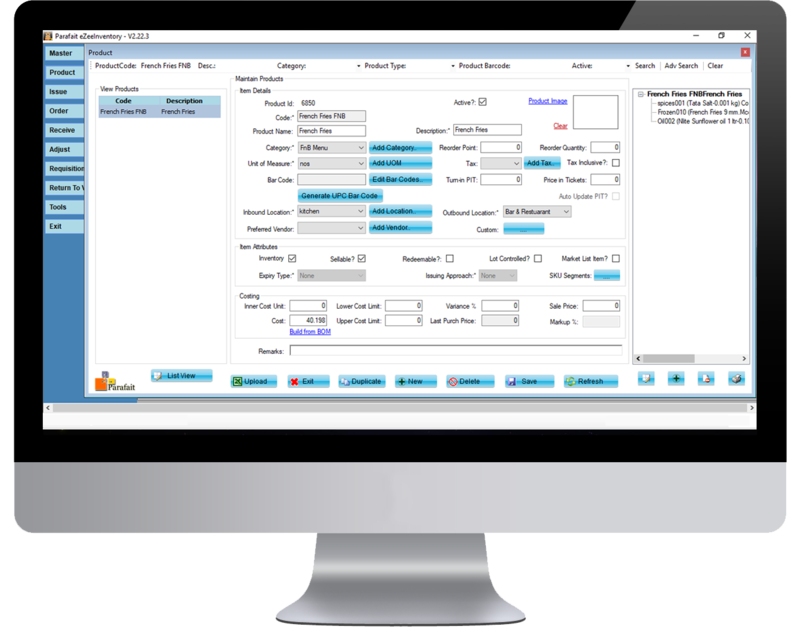 Parafait’s eZee Inventory gives you complete control over purchasing, receiving, and costing. Store recipe ingredients in the database, get automatic inventory reminders on use. Intuitive and trustworthy, it’s a better way to build your shopping list. Automate recipe-based inventory. Never run out on the crowd favorites. Store the recipe, and automatically manage the reduction in individual items when a dish is prepared. Generate purchase orders. Monitor perishables, to stay fresh and full. Get superior insights. Link eZee with your POS and Redemptions. Track inventory across departments. Our real-time updates will tell you what’s moving, while detailed reports will tell you why. Integrate it with reporting modules and track your profitability with a click. Order and share. Purchase and store at a single unit. Or place bulk orders from your HQ, and ship consumables to the locations where they are needed. Your operations, run your way.